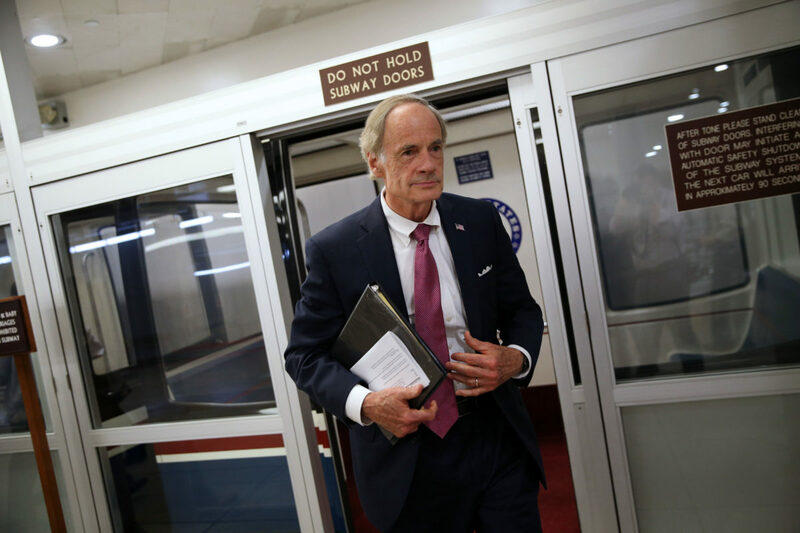 Delaware Democratic Sen. Tom Carper cruised to an easy re-election in the 2018 midterm elections on Tuesday, winning a fourth Senate term in the deep blue state. Election monitors called Carper’s race almost immediately after polls closed in Delaware at 8 p.m. on Tuesday. Carper’s victory in the general election was all but certain after he defeated his progressive primary opponent in September. FiveThirtyEight gave Carper a 99.9 percent chance of defeating his Republican challenger, Rob Arlett, going into Tuesday’s vote. Despite the Democratic Party’s embrace of the #MeToo movement, Carper’s campaign wasn’t hindered by the fact that he is on the record admitting to hitting his then-wife in the face, leaving her with a black eye. Carper admitted to the act of violence in a 1998 interview.